We believe the highest quality comes from perfecting the simple things. Hess Bakery & Deli offers the freshest and most authentic German baked goods, sandwiches, and groceries anywhere in the South Sound. We are a scratch bakery where everything is proudly made by hand. Our most popular items are pretzels (which come in traditional, roll, and stick form) and rye bread, which today is made with non-processed flour. With a loyal following since our opening in 1968, our longtime customers visit Hess Bakery for such items as our delicious German pretzels, homemade breads, meats, cheeses, geschnetzeltes, soda, beer & wine, laundry soap, & a magazine - all in one stop. Our deli features fresh meats and cheese, making Hess Bakery & Deli a popular lunch or dinner option. Nearly all of our products found on shelves and refrigerators are imported directly from Germany, or are staples and products locals might find in a German store. Even the chocolates and gummy bears are true to the products one would find in the old country. Our baked goods, the imported products, the handmade sandwiches – they’re all of the highest and most authentic quality. 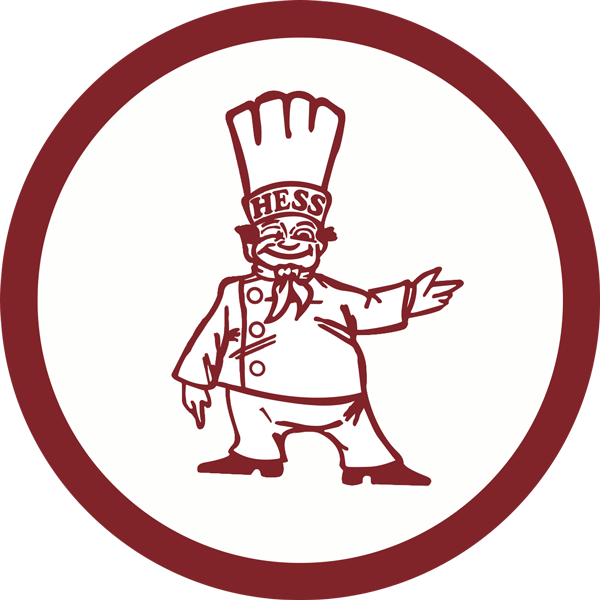 We’re committed to the same recipes and formulas around since the original Hess family opened our establishment. We’re a family store and can’t wait to welcome you!